Welcome to the Knightmares locations thread! Great location. It's also where he meets the guy who gets shot, trying to help, in Redemption of a Champion. I recall reading in the old thread that there is no door where it clicks a button to open it, as you can see it's just a wall. Movie Magic! Is this location open to the public? Be so cool to be able to go up there (not for me as I am quite a few thousands miles away). Found Cara's apartment building last night...still even has the artwork out front! Where is that spot of 'land' where Michael thought his apartment building was? I would think that *IS* now built on, but any ideas? In this episode where Michael is running away from KITT down a street and runs past a postal worker, the postal worker is actually in front of 15945 Royal Oak Drive Los Angeles, while Michael runs right past him and then he lets go of his postal cart and goes running after it. KITT finally convinces Michael to get in. The house they are in front of at that point is at 15921 Royal Oak Drive in Los Angeles. There is also a very famous jump scene on this street a few houses down, which is included as one of the menu scenes of this season's discs and where they use a fiberglass body shell "jump car" to perform the jump. 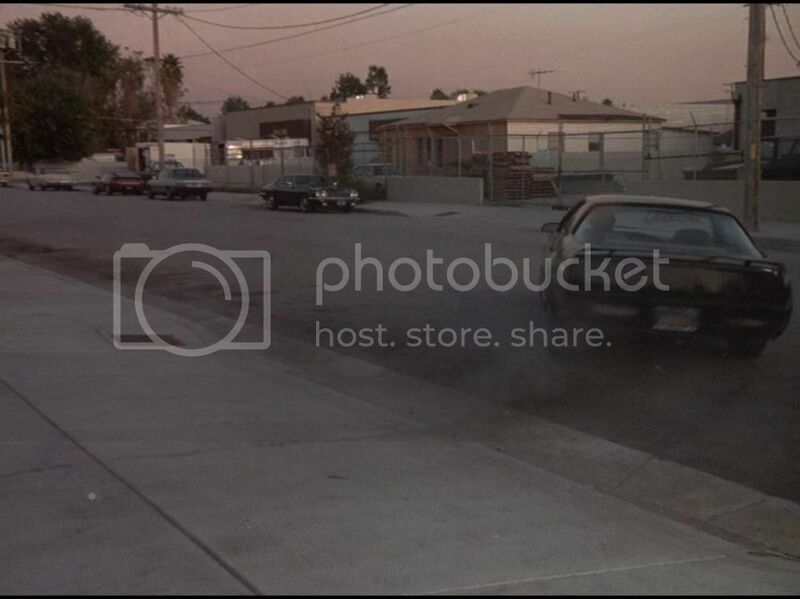 If you key in "15922 Royal Oak Drive Los Angeles" in Google Maps, then go to the street view, you will see a green Grand Prix parked at the side of the road, that is the driveway that Michael and KITT are stopped in front of. The house has changed slightly over the years, but not much, it is very much recognizable as the same place. Interestingly enough this address is also not far from the "Bedford Dam" location which is actually on Sepulveda BLVD. Royal Oak Drive and Sepulveda BLVD intersect. Going back to Cara's apartment building - FYI this was also a location for The A-Team as Tawnia Baker's apartment in the Season 2 episode titled 'The Battle of Bel Air' where Faceman is thrown from the tenth storey balcony. kr2000guy wrote: In this episode where Michael is running away from KITT down a street and runs past a postal worker, the postal worker is actually in front of 15945 Royal Oak Drive Los Angeles, while Michael runs right past him and then he lets go of his postal cart and goes running after it. quite interesting thread.. the buildings and the story related to the places is really amazing. 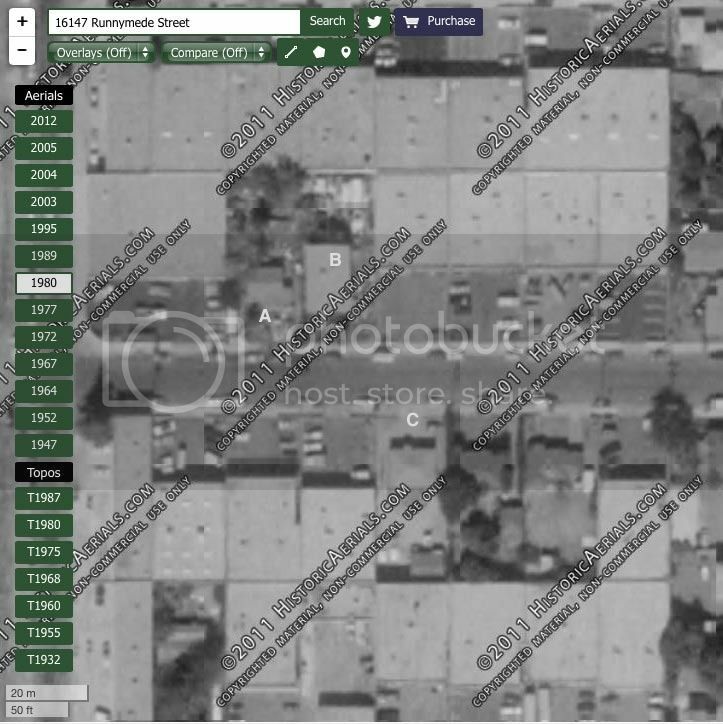 I found the location of Frank Poole's art studio, it's at 16147 Leadwell Street, Van Nuys, CA. Last edited by sgtpepper1138 on Sun Mar 15, 2015 10:56 pm, edited 1 time in total. Here it is present day. Wow it's really cool to see the present day pictures of the scenes from the episode. Thanks for posting. It would be great to have a weekend tour of some of the filming locations. Maybe even some of the scenes can be re-enacted. I wonder if we can reach the Hoff to re-enact some of the scenes. It'd be good to get some ideas to see if anyone is interested in something like that. I'd come down from Canada for an event like that!! I only watched this episode yesterday, afterwards I had a quick glimpse here (and on the Knight Rider Archives website) which showed that many of the locations for the episode had already been found. sgtpepper1138 was sooooooo close though, Frank Poole’s studio was actually just two streets to the north of Leadwall Street, on 16147 Runnymede Street. Anyway, you can get a really good (almost identical angle to that in the show) view of the building in Street View as there appears to be a glitch that when outside, if (on an Apple Magic Mouse at least, swipe up - or down depending on your mouse setting) you can get it to load an image of the building when it is shut, and which gives a better view of the building itself, but also the spacing between units on the left, that isn’t readily apparent on the normal Street View image. The building itself was an easy find, but because of changes to the building immediately next to it, a little more research and comparison was needed to confirm it as being the actual location of Frank Poole’s studio. 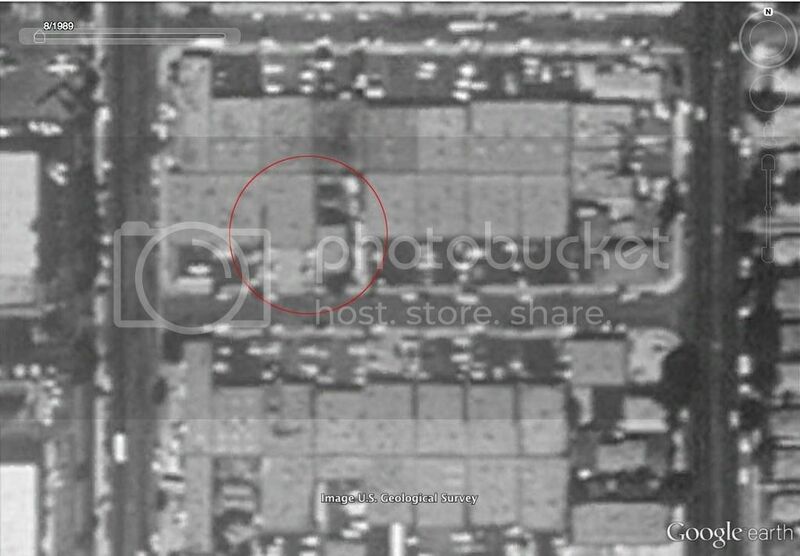 The building next to it (presumably a residential one), was demolished sometime between filming and 1995 (Google Earth shows it as existing in 1989 but gone 6 years later). Here you can see it jutting out next to Frank Poole's studio. And the house diagonally opposite that we see as Michael and KITT leave was demolished to make way for more industrial premises sometime between the filming of this episode in 1983 and 1989 (Historic Aerials show the house in 1980, but gone in 1989). A - Frank Poole’s Studio Location, though it wasn’t built until 1983. Other than the address number of course, and the Historic Aerials photo showing the house diagonally opposite in 1980, the two features that really nailed it for me, are the manhole cover, and these two building in the distance. Anyway... plenty more locations to come over the coming weeks. I’ve only just noticed simon_a6’s request (from way back in 2012 ) for this location, in the episode Michael Long’s address is given as 1834 Shoreborne Avenue, in reality however it is in fact 15630 Vanowen St.
As does the car porch. The houses in the background too. The building behind the gate looks to have changed, not all that unsurprising really given it's 32 years later, but everything else tallies.